However, this hasn’t come without its challenges: time pressures, staff shortages, lack of experienced staff, and increasing consumer demands make it a difficult balancing act for chefs. But while you’ve been encountering these obstacles, we’ve been transforming our iconic product so that it is smoother, rounder, and more intense than ever. New challenges in the kitchen call for new culinary aids, giving you back valuable prep time in the kitchen. 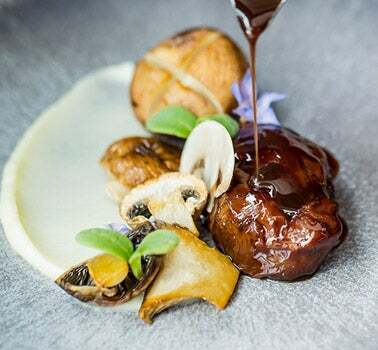 Our team of dedicated chefs have worked hard to develop a leading class product that will provide professional kitchens with scratch-made, authentic flavours, but in a convenient format. We’ve revitalised the overall flavour profile of the Thickened Veal Jus (Jus de Veau Lié) by reducing its tomato and white wine content to provide a deeper and more intensely roasted veal taste. When whisked, there are now far less visible particles leading to a thicker, glossier finish and a smoother mouthfeel for greater versatility. 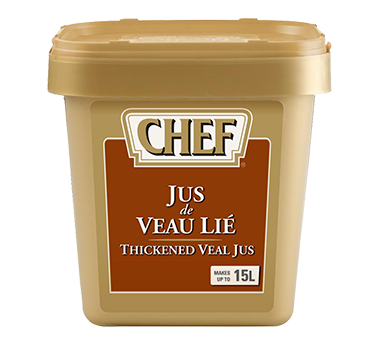 As always, our Thickened Veal Jus (Jus de Veau Lié) dissolves instantly and helps to bring depth of flavour to many dishes from soups and sauces to risottos – just add creative flair. Try it out in one of our new summer recipes like the Pulled Pork with Smoked Bacon and Apple. Has there ever been a more exciting time to be a chef? With travel and technology making the world feel more and more accessible, tastes are getting more and more adventurous. From the beautiful simplicity of foraged Nordic fare to the fiery tastes of India’s hottest curries, chefs have never had so many flavours at their disposal.